It's handy and smart with on any screen size. Just push and talk. various screen resolution supportedSome low-spec devices may not be supported. We removed the visible "Lock button" and simplified app UI for easy and convenient PTT communication. Just push the main screen to transmit PTT message to others. Do not worry about pressing the wrong button in a small size screen. To respond to the situation rapidly in the field, Push-To-Talk app need to stay in foreground status. ProPTT2 Embedded app supports kiosk mode that make the app stay in foreground status for instant communication. ProPTT2 app supports both Full-Duplex VoIP mode and Half-Duplex MP3 mode. 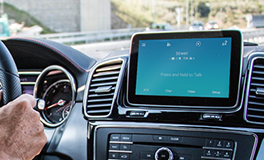 Users can choose one of audio mode depending on their PTT device and environment. Also ProPTT2 app supports noise reduction / low-path filter during auido input/output for sound quality. Without connecting a channel, you can have a one-to-one text chat with your friend. You can transfer ../images/photos on your device or take a picture and send it to other users. You can transfer a location to other users. User can share their location information while sending PTT. smartphone app user can stop other users' push-to-talk, and can transmit his/her voice PTT message preferentially. You can receive channel alert messages sent by administrator via Admin Web. When the administrator changed and synchronized channel information, it is applied to user applications in real-time. You can push the PTT button even when receiving PTT of the others. At this time, it turns into "PTT requesting" state and when other's transmitting ends, you can send PTT right away. To strengthen the service security of corporate customers, You can set up that ProPTT2 app can use only proprietary mobile networks (3G, LTE) that only users of corporate customers can access. With the authentication of the user device's unique number(IMEI) and Phone number, only the user device that has been authenticated through the ProPTT2 server can be logged in and use the service. Without having to enter the IP address of server, users can easily log in to the sub domain linked with the IP address of ProPTT2 server. ProPTT2 app can recognize your voice to adjust the data, transmitting it with relatively low sound quality to use low capacity. 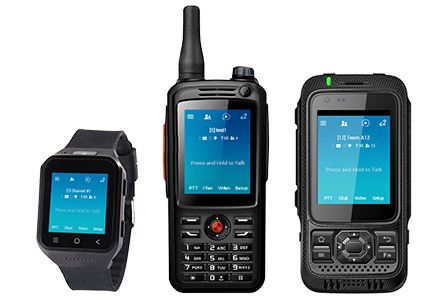 You can transmit PTT by using bluetooth headset or PTT button paired with your device. ProPTT2 Embedded supports using PTT button of device when the app is in background or the device is screen-off. For convenient video sharing in a various areas, ProPTT2 supports not only built-in camera in smart devices, but also external UVC camera connections. It will helps you to use ProPTT2's real-time video sharing effectively. When using video sharing PTT, you can use various useful functions optimized for smart devices. You can send PTT message with floating PTT button even if you are using other apps or ProPTT2 app is background. You can choose a sceen theme for daytime/night or make it automatically change depending on time you have set. You can change current slot channel conveniently by setting the shortcut button. You can lock your own Push-To-Talk settings to keep it not be arbitrarily changed while using the app. 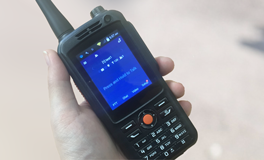 You can choose the beep sound for PTT Send / Receive / End and SOS / Alert message. You can also add user-created beep sounds. 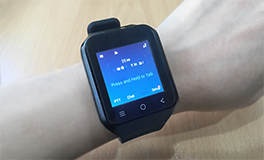 ProPTT2 Embedded app is useful with Android-based wearable devices(watch), PTT dedicated devices and devices for automobile.